For many in the black community social media has given us a space where we can be as witty, honest and out there as we want but who is getting the recognition, and the cheque, for our creativity? In the past, if the average person wanted to know what was going on around the world, what the latest trends were or take in the thoughts of their generations most prolific thinkers they would have to open up a broadsheet and ingest the information given to them on the page. Now with the avid use of social media that is no longer the case. Pew Research Center found that 62% of Americans get their new from social media. Since you can interact 24/7 on social media, gone are the days when newspaper pundits were seen as unchallengeable intellectuals. We no longer merely consume our information; we respond, offer our own analysis and become cultural critics in our own right. This is most obviously the case for the black community who use social media in new and fantastic ways; from hilariously funny vine culture (RIP) to university debate worthy facebook threads. Although black people are prolific across all social media platforms, the most well-known enclave of black thought has to be Black Twitter. Black Twitter isn’t really any one place but more of a loosely connected network of black users sharing jokes, pithy memes and thought provoking announcements. Some ideas are so profound it seems a waste to leave them on social media; a platform built for cartoonish gifs to descend into the abyss after we take in their 30 seconds worth of funny. The statistics prove that we’ve made this place online our own. Pew Research Center found that 28% of black Americans who use the internet use Twitter. This is compared to 20% of white internet users. Social media has become the birthplace of new activist movements, new slang and the gateway for many isolated black people to finding a community. It is commendable that we have a space that has allowed us to show off the best of our wit and abilities with like-minded people but let’s be honest for all this funny and all this genius, shouldn’t we start getting paid? Why does it feel like our greatest thinkers are resigned to social media? A thousand retweets are impressive but the memory of them won’t last more than a minute and they certainly won’t pay the bills. Social media has created a theatre and stage for our best and brightest and then locked us in to fend for ourselves. It’s not like our ideas aren’t worth anything as we’ve all seen said ideas magically get published when pitched by white writers who take our credit and payment. Recently there was uproar on black Twitter when a white writer wrote a piece for the Guardian that bore more than a few resemblances to the viral tweets by South African writer Siyanda Mohutsiwa. To add fuel to the fire, Mohutsiwa was not credited as a source and she even commented that she tried to get her idea published for years but no one would take it. Now I don’t necessarily knock the white journalists that see an opportunity to make some quick cash, that freelance game is tough, but it does highlight three major issues with social media. One, that there is no content control on social media. This feels like an obvious observation but one that needs to be made as we regularly forget. The theatre we were trapped in actually has glass walls with people looking in. They’re taking notes and learning our tricks. After seeing Channel 4 use the now infamous phrase ‘on fleek’ I wonder if the black teenager who invented the phrase received any credit. I wonder if Channel 4 even know that it was a black teenager’s phrase. Culture is hard to pin down and can sometimes be even harder to source but in today’s world when you can google the answer to any question, such as who created the phrase ‘on fleek’, there’s no need for black people to go uncredited. The second observation is that white writers are more likely to get paid for our ideas. This is something we’ve known for years really but it does need to be highlighted again and again. There is a certain mould that black writers are allowed to fill. We can write about general ‘black’ topics, which are determined by white editors, but nothing that rocks the boat shall we say. That’s why a middle class, liberal face on our ideas will make them much easier to swallow. The third observation is that black journalists are rarely employed in the media. Only 0.2% of British journalists are black even though we make up 3% of the population. Without our presence there, what is considered newsworthy, relevant, interesting will always be determined by white journalists who have a limited knowledge and experience of the people that make up our society. 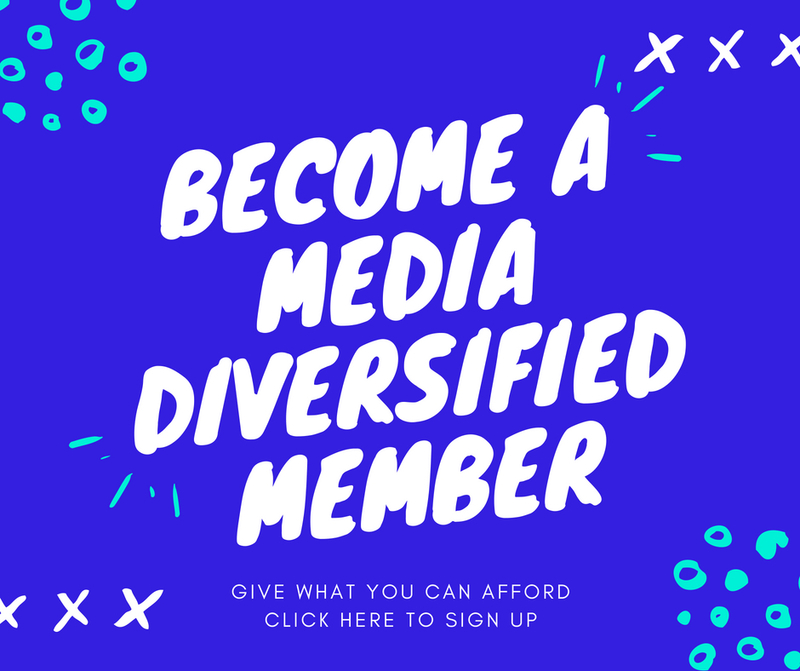 There are initiatives such as Creative Access that are attempting to correct the disadvantages journalists of colour face from the start of their career. There are also alternatives to the mainstream such as, obviously, Media Diversified, Gal Dem and Black Ballad. These outlets specifically spotlight writers of colour and give them a way to turn the ideas that were stuck on social media threads into a piece of work that is archived, acknowledged and recognised as black. We need more of these places but for now be wary of who might be lurking on your newsfeed. If you’ve got an idea that you think will resonate with even one other person then find an editor you think will get it and pitch your idea, before someone else beats you to it. Stephanie Phillips is a freelance journalist and musician who plays in the black feminist punk band Big Joanie. You can follow her on Twitter @stephanopolus and find more of her writing here.